Please help us by distributing our leaflet on the lessons of the Chicago teachers strike. You can also let us know where you are distributing. Lessons from Chicago: The CTU strike shows we can fight and win! the fight for educational and social justice. 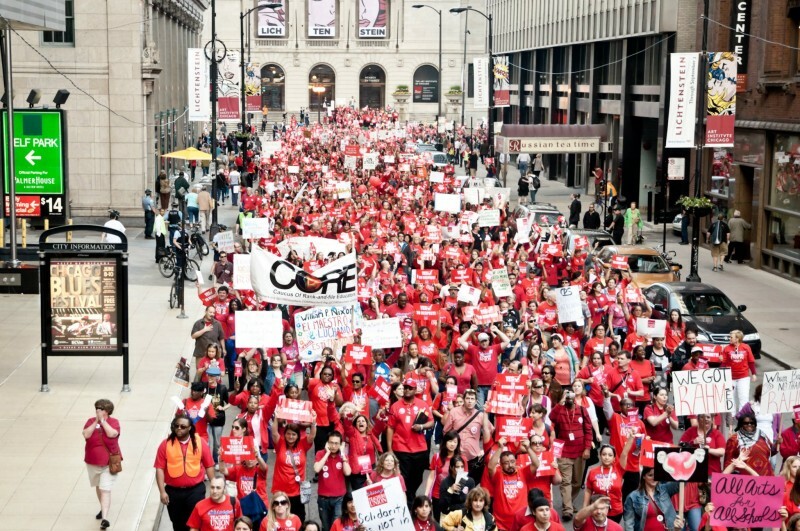 What can we learn from the Chicago teachers’ Strike? would have ever produced. In New York City, teachers have been three years without a new contract. every school site which paid off during the strike. union democracy from which we all have a lot to learn. to fight for quality public education for all students. http://www.morecaucusnyc.org. Like us on Facebook.com/MOREcaucusNYC. Follow us on Twitter @MOREcaucusNYC. What are the strategies teachers, parents, & students in Chicago have used to turn an attack against teachers into a broad fight for social justice? Who is really behind “educational reform” & teacher- bashing efforts like the new movie Won’t Back Down? How did a small group of ordinary teachers succeed in creating a movement to fight for the interests of schoolchildren? Why do the Chicago teachers call the present educational system racist? What can we learn from this struggle in New York? The positive alternative leadership team was unanimously approved at our meeting this past Saturday. 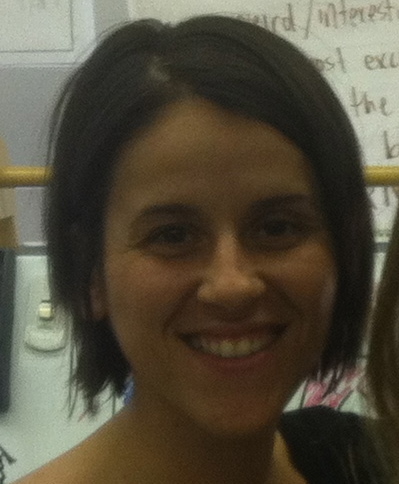 President: Julie Cavanagh is a UFT chapter leader who has been teaching in Red Hook, Brooklyn since 2001 and contributed extensively to the fight for public education. In 2009-2010 Julie, alongside a NYC parent and student, sued Mayor Michael Bloomberg for the right to protest school closings and charter schools, and later she joined with parents as the only teacher petitioner in a lawsuit to fight the appointment of then NYC Schools Chancellor Cathy Black. Since 2009 Julie has worked with various grassroots groups to organize protests and forums in an effort to educate and engage the public to challenge the corporate education reform movement and to promote real reform in our schools and communities. Much of this work can be seen in the film she co-narrated and co-produced, The Inconvenient Truth Behind Waiting for Superman. Her writings have been featured in the Huffington Post, Daily News, Labor Notes, and Public Sector Inc and she has appeared on MSNBC’s Up with Chris, Fox and Friends, and Inside City Hall. Secretary: Brian Jones has taught elementary school grades for nine years, and has organized teachers and parents to challenge budget cuts, charter co-locations and high stakes standardized testing. Brian faced off against Michelle Rhee and Geoffrey Canada on national TV, and co-narrated the film, The Inconvenient Truth Behind Waiting for Superman. Historian Diane Ravitch has called his writing about public schools “brilliant.” Brian has contributed to several books on education, and to publications as diverse as SocialistWorker.org and the New York Times. Join MORE members for our next general meeting – Saturday! We will be discussing the upcoming UFT elections and voting on the top five positions of the slate. We will be discussing the upcoming UFT elections and voting on the top five positions of the slate. Bios of the candidates will be sent out by Thursday of this week. We will also hold committee meetings as well as breakout sessions to tackle the work we face in the coming months. Did you know 217 schools qualify for closing under the New York City Department of Education guidelines? We will hold breakout groups to launch our efforts to support, educate, organize and mobilize around this issue and MORE! 365 5th Ave @ 34th St.
Download and circulate the following membership toolkit to your coworkers. Want to host a house party or local happy hour? Use this toolkit to organize those who come.